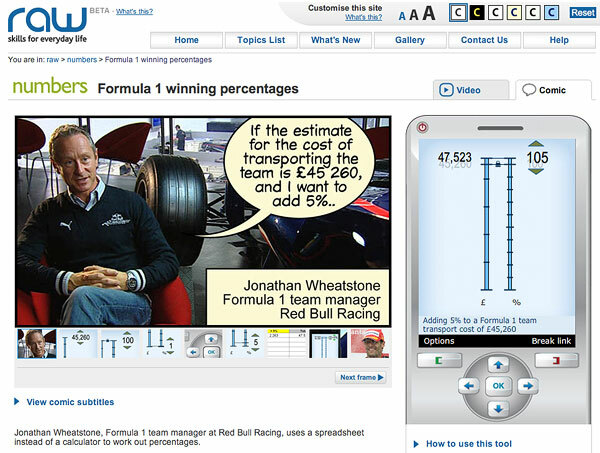 A web tool that emerged from the prototype mobile tool we developed with BBC raw. Embedded in a pseudo-mobile phone interface, the web application replicates exactly the functionality that was available in the phone application. 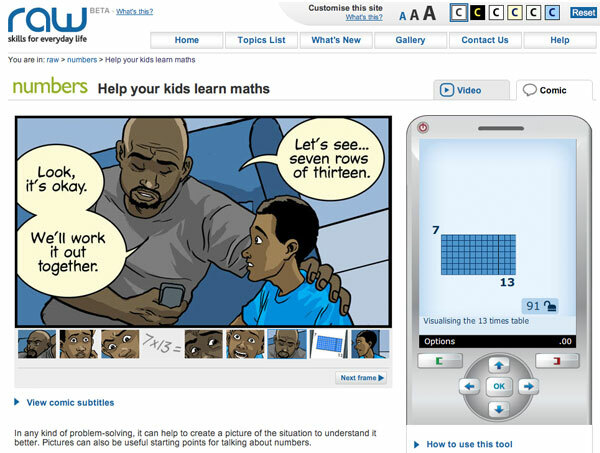 Linked in with the provided videos and comic-style picture stories around mathematical problems, the Numbers tool gives users the option to try out calculations mentioned in the stories straightaway for themselves. 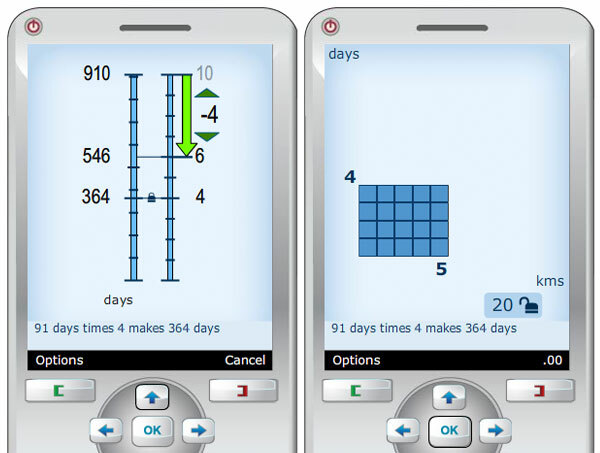 This project is in progress and the current Line and Area tools will soon be extended with a Bar comparison tool and more case scenarios. That campaign will then provide a full web-like experience in conjunction with the downloadable mobile tools, to be launched soon.